Callus eraser refills work with our callus eraser that gently removes corns and calluses and easily buffs away rough patches that can snag socks and hosiery. Set of 24 refills. I just love these refills, they keep my feet smooth and pretty. Another great buy, The pads last and don't wear out fast. This product can be used with Pedispin and provides comfort , relief and smoothness to soles and back of feet. The refills are necessary since it takes off the dry skin and you require refills to continue using this product. Refills are not as heavy duty as original discs. 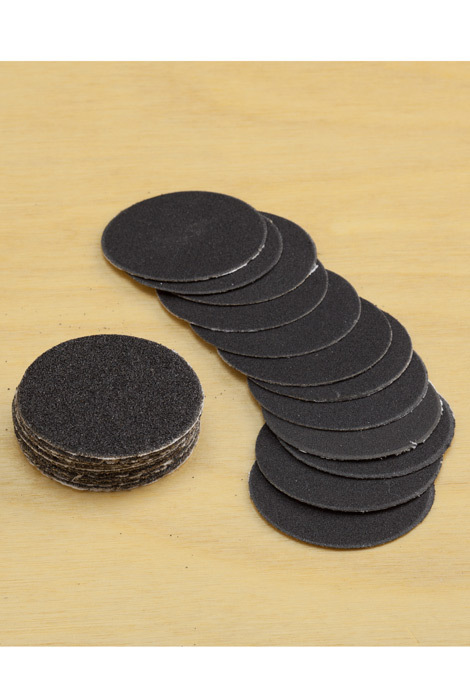 The original callous eraser comes with both fine and coarse discs. The refills I received were only the fine discs. Those don't work for me.